The Centennial Classroom Course is a traditional confirmation format in which students attend a series of Sunday morning classes September to April, attend additional information sessions and events, and participate in a full-day confirmation retreats and an field trips as scheduled. This fee includes all field trip and activity expenses, as well as classroom materials. *As with all Kenilworth Union Church youth ministry programs, cost should not be a barrier to participation. Scholarship support is available. Please email klancaster@kuc.org with your confidential inquiry. Enrollment in a KUC Confirmation Course requires a commitment beyond the Classroom. Please consider the following before proceeding with registration. Sundays 10:20 - 11:30. Please consider whether the student will need to miss many classes due to conflicts. Class will not be every Sunday, but if the student has a standing obligation on Sunday mornings, this Course might not be a good option. Mentor Relationship: Each confirmand will select a confirmation mentor before classes start. The confirmation mentor should be an unrelated adult KUC member. The confirmand commits to meeting with the mentor several times before confirmation Sunday. Worship Attendance: Each confirmand will be required to attend worship on his or her own during their confirmation year, prior to confirmation Sunday. They will need to prepare a brief written response for each worship service they attend. 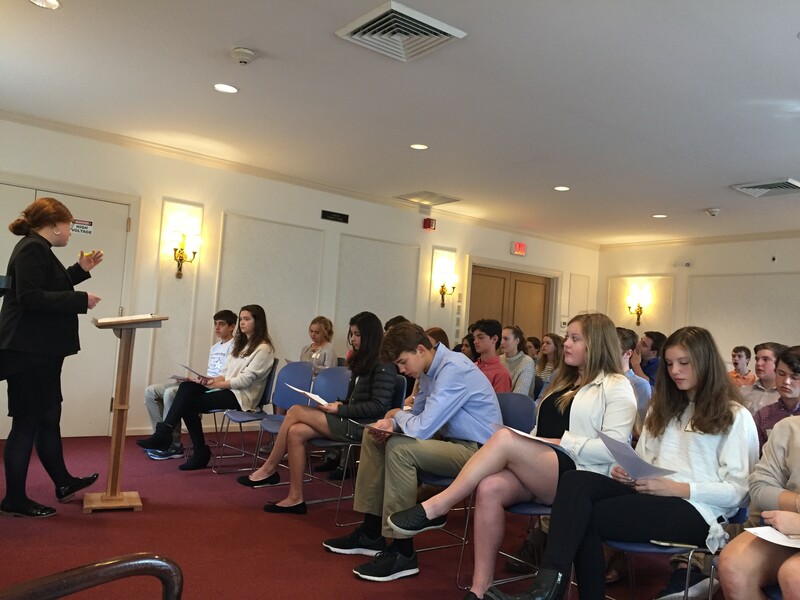 Faith Statement Meeting: Confirmands prepare a faith statement during their course. They will be required to meet with Rev. Lancaster before Confirmation Sunday to discuss the faith statement and affirm their intent to be confirmed. Confirmation Sunday includes the rite of confirmation during the regularly-scheduled worship service, plus an additional celebration service in which each confirmand plays a role. Registration requires 15-20 minutes to complete and requires parental information and signature. Names of Friends you expect to be in this year's confirmation class. If yes, when did parents first attend or join KUC? If no, are parents interested in membership? What do you hope your child learns/experiences/discovers in and through the confirmation process? List any illnesses or conditions that might require special accommodation for classroom or field-trip activities. List any dietary allergies or restrictions. Please Read this document. Click the top right corner to open a full-size version on a separate page. I, the undersigned parent, have read and agree to the above Parental Permission and Release. Further, unless I mark No below, I consent to the use of photographs and/or or videos of my child to be published by Kenilworth Union Church or agents for church purposes in print or online. (our policy is not to tag or identify youth by name, but we will allow youth to self-tag and tag friends on social media unless the tag is deemed to be inappropriate). May we add your primary email to the Kenilworth Union Church e-News subscription? Registration is considered complete once payment is made. If you choose "Pay Now", please complete the checkout via PayPal. If there is a problem with the PayPal checkout and the payment does not go through, please contact the Accounting Office at KUC (847) 251-4272 during business hours. If you choose to pay by check, please follow instructions on the confirmation page once you submit the form. Cancellations made before September 10 are entitled to a full refund of all fees paid.